Thanks to this workshop, you will be able to apply all the DDMRP knowledge in your company's daily basis! 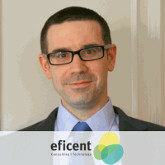 Jordi Ballester is currently CEO of Eficent. 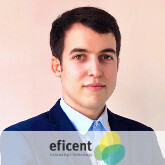 He is a Certified Demand Driven Planner, and co-author of the Demand Driven Institute compliant software Eficent.io. Previously, he was SAP consultant in supply chain for 10 years. His academic background is telecommunications engineer and bachelor in business management. Lois Rilo is currently consultant at Eficent. He is a certified Demand Driven Planner, and co-author of the Demand Driven Institute compliant software Eficent.io. Lois has recently been involved in a DDMRP implementation for a manufacturing company. His academic background is on Industrial Engineering. No, we recommend to bring your ticket in pdf extension saved on your smartphone. Yes, you can substitute anyone from your company. And what about the accommodation?